Binghamton bed and breakfast travel guide for romantic, historic and adventure b&b's. Browse through the iLoveInns.com database of Binghamton, New York bed and breakfasts and country inns to find detailed listings that include room rates, special deals and area activities. You can click on the 'check rates and availability' button to contact the innkeeper. Located at the southern tier of New York is the city of Birmingham. Situated at the convergence of the Susquehanna and the Chenango Rivers right near the border of the state of Pennsylvania, Binghamton is the heart of the culture of the Greater Binghamton metropolitan area which is also known as the Triple Cities. The city has a very interesting modern history starting at the growth of its industries which began when Edwin Link invented the flight simulator and IBM was setup within the same region. Today, it is home to Binghamton University acting as its athletic, academic, and arts center. The town is also known as the Parlor City because of its clean and very neat streets and attractive homes, not excluding some dazzling mansions. It is known for its cycling and walking clubs and trails. 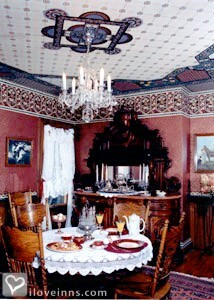 While in town visit a Binghamton bed and breakfast and see what they are all talking about. By Pickle Hill B&B.